Book Wanted Bride/Groom ads by picking specific sub-categories like caste, religion, community, language. 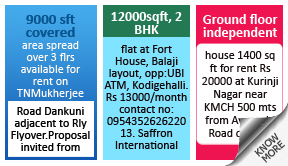 Buy or Sell your property, land, premises, and accommodation throughout India by advertising in leading newspapers . 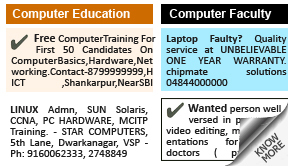 Hire employees by advertising in newspapers under the subcategory like situation vacant, multiple vacancies, situation abroad etc. For offering business proposals, place your ads under the sub-categories like agents & agencies, business offers, franchisee, etc. 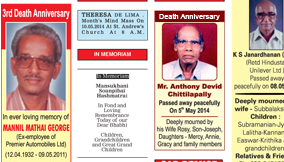 Wish your loved ones on their birthday, anniversary and on other occasions by placing ads in this category. 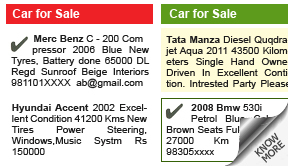 Buy or Sell your vehicles by placing ads under a particular subcategory to get more responses. You can book ads for notifications of postponements/corrections, prayer meetings , change of address, rally etc. 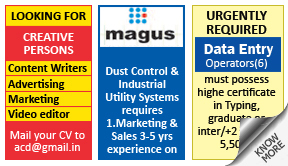 If you are looking for job opportunities then advertise under this category and choose a sub category as per your requirement. Required Job, Finding Job, Need Job, Experienced Job required, Entry level Job required. 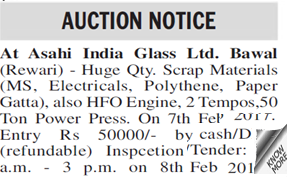 Book Public Notice ads , tender ads, company notice ads, share certificate missing ads and auction ads under this category . 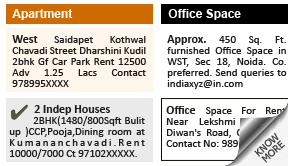 Want to give your flat /commercial premises or shop on rent? 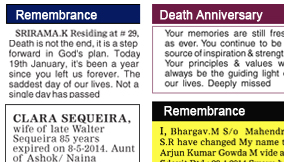 Then advertise in your prefered newspapers under this category . 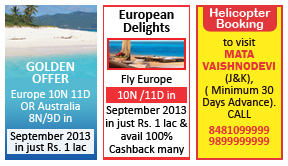 Advertise tour packages, hotels and resorts , trip planners, agents and travel agencies ads under this category . 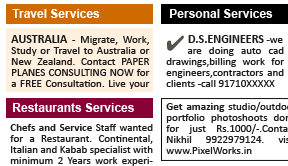 Book ads in leading newspapers for providing services of wedding planning, decorations, caterers, etc. 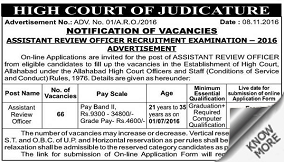 Book High court and companies notice ads under this category to highlight the information circulated for the mass. 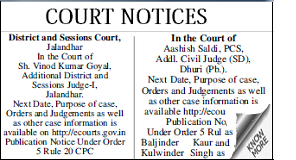 Publish court notice, marraige notice , abroad court marraige notice ads in leading newspapers of India . 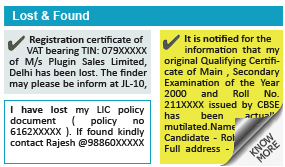 If you have lost your share certificate/ or other legal documents, then book your ads under this category to get better visibility . 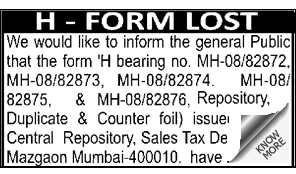 Book change of name ads under this category to inform corcerned authorities about the change in your new name. 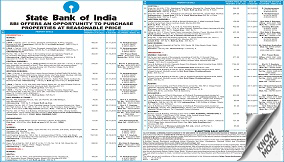 Advertise under this category to sale consumer durable, electric appliances, stores,etc. 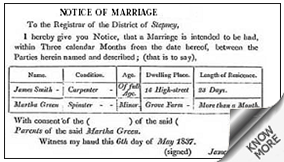 Have you lost any important document? 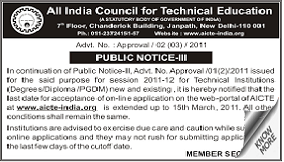 For e.g marksheets, certificates, indentity proof etc. then place an ad in this category. 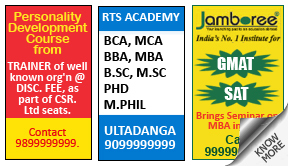 Advertise professional courses, distance education,abroad courses in different formats in leading newspapers . 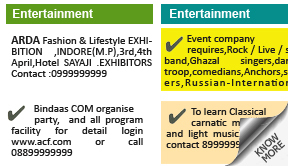 Book ads of any cultural events, parties or functions and reach out to the target audience at one go! Advertise marraige bureau and agency ads , wedding planning and event management ads under this category in different formats. 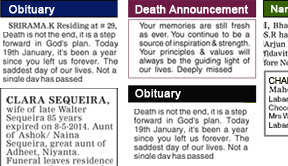 Book Obituary ads of your loved ones to convey the news of death among your friends and relatives. 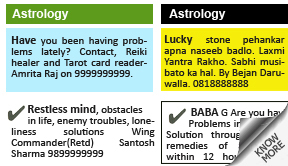 Book astrology ads under various sub-categories which includes numerologist, palmistry, poojas, personal problems etc. Looking to buy or sale computer parts? 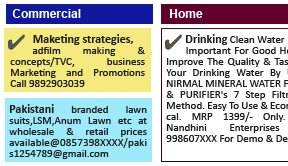 Then advertise under this category to reach out to your target customers. 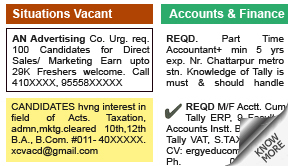 Ad Categories: Matrimonial, Property, Recruitment, Public Notice, Obituary, Education etc. 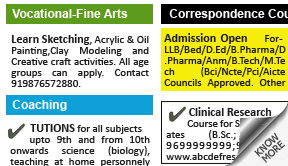 Why advertise in Mathrubhumi Classified? 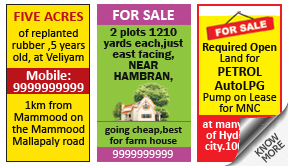 Planning to place classified ads in Mathrubhumi newspaper? Know more about the benefits of placing classified ads in the platform of Mathrubhumi newspaper from releaseMyAd! The quality content of this newspaper gratifies the readers and that leads to a huge readership figure, hence your advertisement in Mathrubhumi shall gain the desired attention. 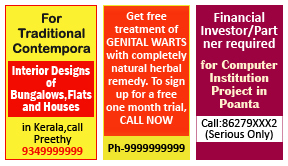 The wide coverage helps the advertisements to reach every corner of the country. 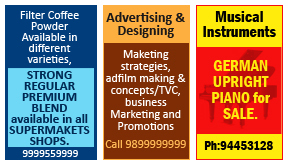 The economical rates and the special offers for advertising under various formats such as simple text, displays, quarter page or full page advertisements suits every advertiser. The exclusive ad booking packages that cover multiple locations help the advertisers to reach out to a larger number to audiences. The easy deadlines help advertisers to book ads in the shortest time span and facilitate in instant ad booking. 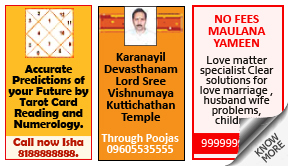 Releasing ads in Mathrubhumi newspaper for classified categories like Matrimonial, Recruitment, Property, Obituary, Announcement, Travel etc. has been simplified further with the help of the internet. Now you can confirm the release dates and get your ad published instantly with releaseMyAd, the Authorized Online Ad Booking Agent of Mathrubhumi! 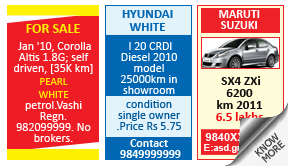 How to Book Classified Ad in Mathrubhumi Newspaper ? Thanks to releaseMyAd’s online ad booking platform, you can now bypass hassles such as tracking down Mathrubhumi advertising agents, or physically visiting numerous offices to book your ad on this prestigious daily. Now save both your time & money by advertising with us. 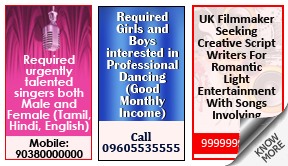 Mathrubhumi is published in Malayalam, and you can compose your ads in Malayalam or English. You can also seek help from our online translator tool to suit your convenience. Choose Ad Type - Classified Text OR Display. 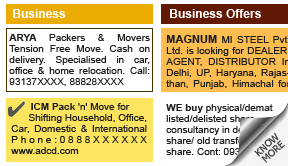 Subsequently, choose ad category & location. Select dates & Clear Payment via a host of online & offline methods. Mathrubhumi is published in Malayalam. 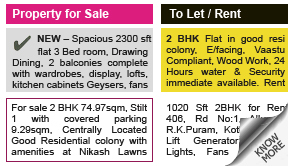 You can choose to compose your advertisement both in English or Malayalam as per your convenience. Should you want the complimentary language transalation service for your classified ad, kindly specify the same during the booking process. 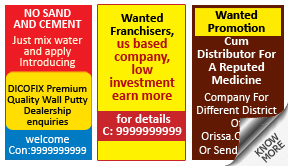 Advertise in Mathrubhumi using the most simple means possible! 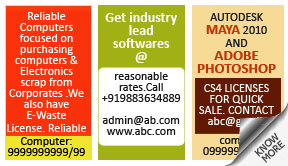 Worried about getting contacts, rates, deadlines and manual booking procedures for your Mathrubhumi classified ads? Your search ends here- Now you can book Mathrubhumi newspaper classified text and display ads via releaseMyAd - India's largest newspaper ad booking portal. Just 3 simple steps and your ad is booked for the scheduled date.You can avail the best rates and discount packages for your Mathrubhumi classified ads only at releaseMyAd. Get started !